These whimsical 18kt white gold dangle earrings designed by Doves features two precious light blue topaz stones weighing 3.82ct. The light blue topaz stones are accompanied by 94 round diamonds weighing 1.12ct and 14 baguette diamonds with a total weight of 0.60ct. 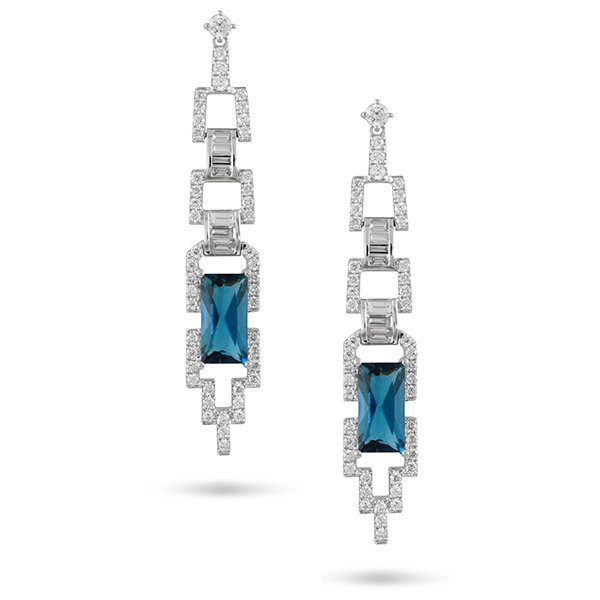 The combination of these two stones and shapes makes the perfect synthesis for this striking pair of earrings.